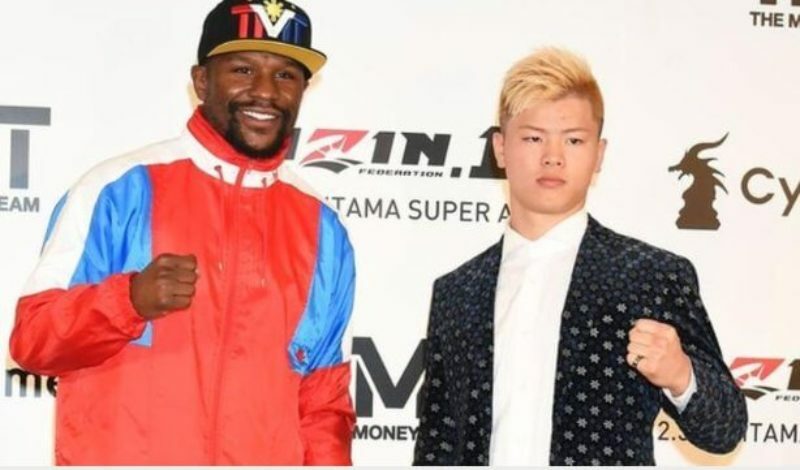 Undefeated boxing legend Floyd Mayweather Jr. on Monday said he will come out of retirement to fight kickboxing wunderkind Tenshin Nasukawa, on December 31 in a mixed martial arts showdown in Saitama, Japan. Mayweather last fought on August 26, 2017, against Conor McGregor. Mayweather defeated McGregor with a 10th round TKO to move to 50-0 in professional boxing matches, surpassing Hall of Famer Rocky Marciano who previously held the record at 49–0. “I want to give the people what they want — blood, sweat and tears,” Mayweather told a news conference in Tokyo. “It’s always been a goal of mine to go outside out of the US and display my talent. The world has never seen Mayweather compete live in (Japan). This news comes as a massive surprise, as the 41-year-old unbeaten American has recently been linked to bouts with UFC lightweight champion Khabib Nurmagomedov, and a rematch with his long-time rival Manny Pacquiao. The former five-weight world champion Mayweather is 50-0 in his boxing career but has never fought professionally under MMA rules, he is yet to reveal his decision whether the fight would be a pure boxing bout or some other mixture of martial arts. “Nobody has defeated my opponent in the past, and I would like to be the man who makes history,” Nasukawa said, speaking through an interpreter.